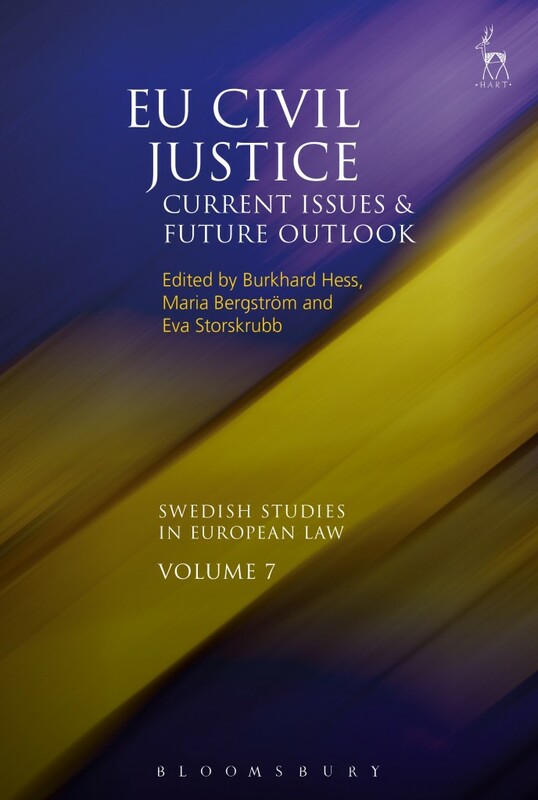 This seventh volume in the Swedish Studies in European Law series (Hart Publishing, Oxford) brings together some of the most prominent scholars working within the fast-evolving field of EU civil justice. Civil justice has an impact on matters involving, inter alia, family relationships, consumers, entrepreneurs, employees, small and medium-sized businesses and large multinational corporations. It therefore has great power and potential. Over the past 15 years a wealth of EU measures have been enacted in this field. Issues arising from the implementation thereof and practice in relation to these measures are now emerging. Hence this volume will explore the benefits as well as the challenges of these measures. The particular themes covered include forum shopping, alternative dispute resolution, simplified procedures and debt collection, family matters and collective redress. In addition, the deepening of the field that continues post-Lisbon has occasioned a new level of regulatory and policy challenges. These are discussed in the final part of the volume which focuses on mutual recognition also in the broader European law context of integration in the area of freedom, security and justice. Burkhard Hess is Director at the Max Planck Institute Luxembourg for International, European and RegulatoryProcedural Law. Maria Bergström is Senior Lecturer in EU law at the Faculty of Law, Uppsala University.